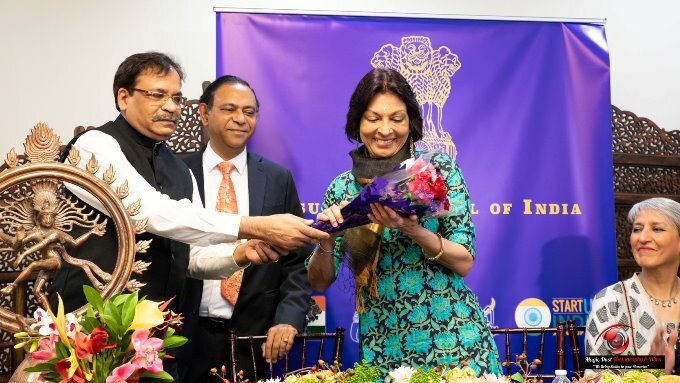 March 8, 2019, International Women’s Day, was well celebrated in our Atlanta community in two ways: first, by hosting the living legend of dance, Padma Bhushan Mallika Sarabhai and her dance-theatre-multimedia presentation, “The Colours of Her Heart,” and also in the pre-show event, by recognizing twenty-two women for their success and community leadership. 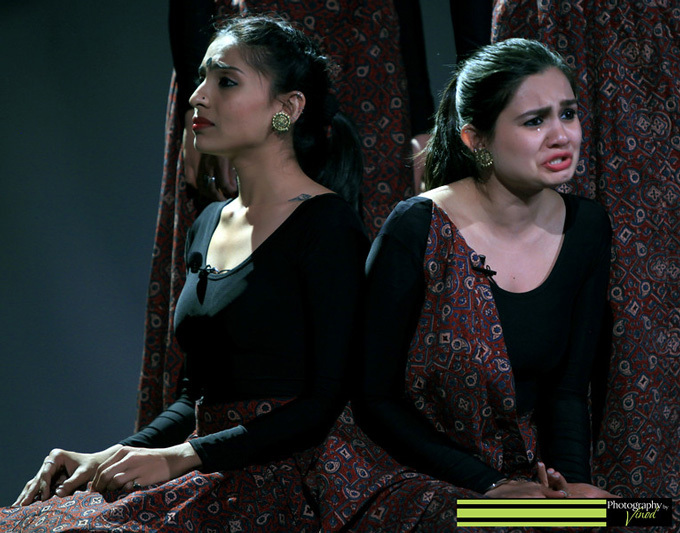 ​See Khabar's exclusive interviews with both dancer Mallika Sarabhai and singer Samia Malik in our Features section, here. The organizers—Professor Jagdish Sheth of the Sheth Family Foundation, Paddy Sharma of Seeds of Hope Legal Aid, Mustafa Ajmeri, and Manoj Barot of Narayan Seva Sansthan (NSS), along with Pravin Patel of Sai World Peace Center USA—felt honored to present such a program. 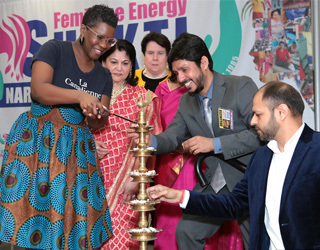 The pre-show program at Berkmar High School in Lilburn began with the Unstoppable Women Fashion Show dedicated to 10 differently abled girls from India, nurtured at NSS, who have been able to make their own outfits and display them in NSS fashion shows to emphasize that one’s physical condition is not a barrier to fulfilling one’s dreams. Atlanta participants representing these girls were Bharti Khatri, Hetal Mehta, Rachna Jha, Aarti Jain, Pooja Jadhav, Neha Jain, Sheela Shukla, Priyanka Tyagi, Bhrushira Vyas, and Meghana Naik. A presentation was shown about the Narayan Seva Sansthan and the impact it is making in transforming the futures of girls and women by no-cost surgery, vocational training, and educational programs. Guests of honor Nadia Theodore, Consul General of Canada for the Southeastern United States; Alicia Philipp, President, Community Foundation for Greater Atlanta; and Madhu Sheth, cofounder of the Sheth Family Foundation then lit the ceremonial lamp and presented plaques to the award recipients. The 22 Shakti awardees with Paddy Sharma, Madhu Sheth, and Manoj Barot. In Sanskrit, ‘SHAKTI’ means power, ability, strength, might, effort, energy, and capability. ‘SHAKTI’ is the concept of divine feminine creative power and also represents the dynamic forces that are thought to move through the entire universe. 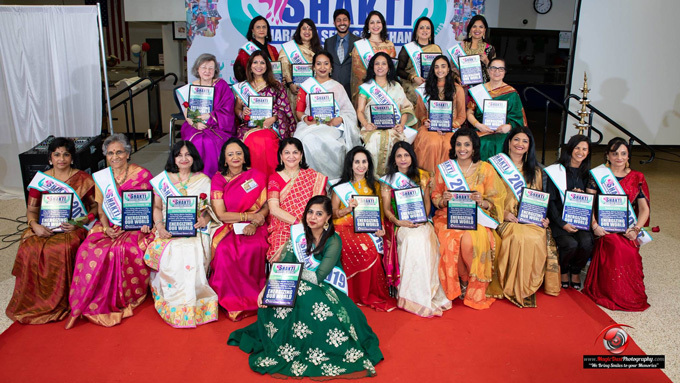 The 2019 Narayan Seva Sansthan inaugural ‘SHAKTI’ Award Reception on the occasion of International Women’s Day (March 8th) was the beginning of the endless celebration of empowering women and their energy to change the world. 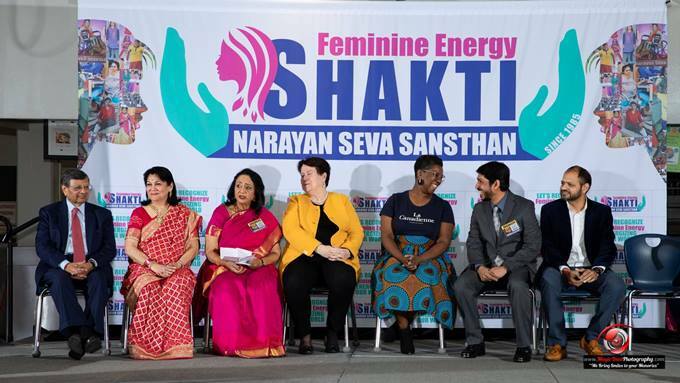 The Narayan Seva Sansthan Feminine Energy Shakti Award was presented to 22 women from various fields of work, for their contributions to the community by keeping the culture alive, rising above barriers, venturing into unexplored sectors, advocating for women's health, or mentoring future leaders, thereby making lasting contributions to society and energizing our world. A light prepackaged supper was served, and a free professional photograph booth added to the celebrations. 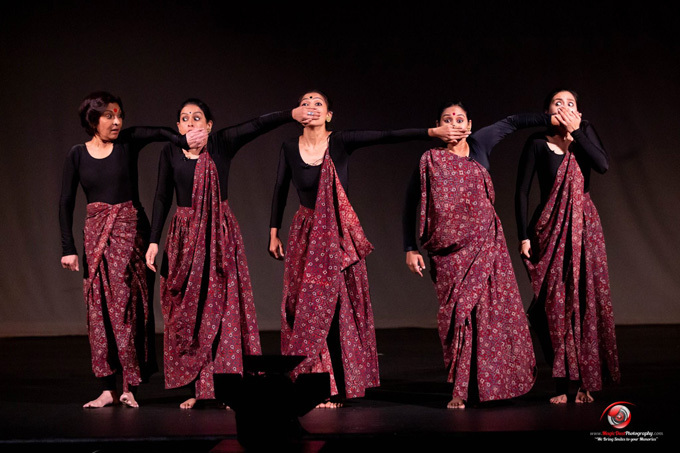 The dance program followed, with Mallika Sarabhai’s concept, choreography, costumes, and direction reflecting her passion for social change and women empowerment. 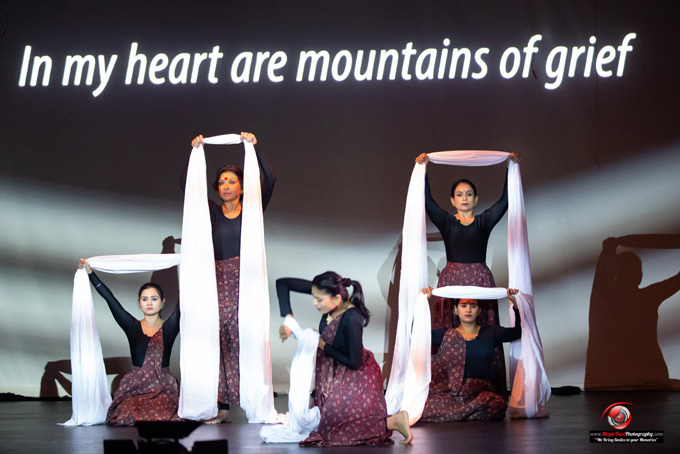 The haunting Urdu-English lyrics of British musician Samia Malik were powerfully delivered, along with striking imagery and story creating skills of Yadavan Chandran to create a scintillating six-woman show. Along with Mallika, dancers Surbhi, Mehraj, Sonal, and Pooja electrified the stage and lit fire in the minds of the audience with their touching true stories given in songs and dances that brought new insights and awareness about real issues facing men and women today, for ways of working together towards a better future of gender equality. The dancers, apart from sharing stories of trauma, extortion, and bigotry of social norms, also presented the heart-wrenching current stories that have rocked the Indian subcontinent and the world: their pain, how women live in two worlds, shed tears at night alone, how men sabotage women, crushing them with the weight of patriarchal tradition, accusing them of sinfulness, how women are expected not to argue, to adjust, and just be quiet. A women is not judged by “the color of her heart,” but by “the color of her face.” Pain was definitely evoked in the audience, as people could connect with it or see that the pain of women still continues. It was a powerful part of the conversation happening in the women’s movement in India and around the world. Previously, on March 6, Mallika, Samia, and the team were felicitated at the Consulate of India in Atlanta. 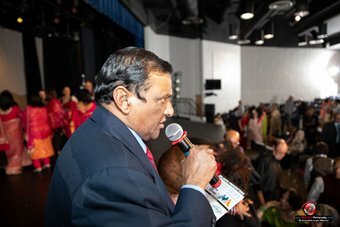 Although Consul General Kulkarni was called to India for family matters, Consul Shailesh Lakhtakia made the team’s introductions with a good sense of humor. Mallika Sarabhai eloquently spoke about her motivation for challenging the norm and inspiring change in the outdated social traditions to bring about gender equality. With equal humor she retorted to the remarks made by Lakhtakia. The healthy sparring of words regaled the guests, who were later treated to delicious refreshments catered by Madras Chettinaad and Madras Mantra cuisines. Dr. Mallika Sarabhai defines women's empowerment.